Interest-Only Mortgages are a type of mortgage that allows the homeowner to have an initial period of several years when they only have to pay interest. For the first several years of interest-only mortgages, the monthly payments are very low because they do not include any of the principal. Interest-only mortgages are not common, but some lenders still provide them. Interest-only mortgages are a great option for those whose biggest priority is to have a low monthly payment. While the low monthly payments don’t apply for the entire life of the loan, they are in effect for the first several years. Interest-only mortgages are structured similarly to an Adjustable Rate Mortgage, more commonly known as an ARM. An ARM has a pre-set amount of time that gives the homeowner a low interest rate that is fixed. The initial period is decided when choosing the type of ARM, the most common being a 5/1 ARM. The two numbers indicate how long the initial period is and how often the interest rate will adjust. A 5/1 ARM means that the initial period is for 5 years and the interest rate will adjust once a year. An interest-only mortgage also has an initial period, which is when the interest-only payments occur. After the initial period has ended, the payments are then re-calculated to include the principal. Since only the interest was being paid, the monthly payments could drastically increase depending on the kind of interest-only mortgage and how long the initial period lasted. There are two types of interest-only mortgages: fixed rate interest-only mortgages and adjustable rate interest-only mortgages. A Fixed Rate Interest-Only Mortgage is a combination of a 30-Year Fixed Rate Mortgages and an ARM. Like the 30-Year fixed, a fixed rate interest-only mortgage usually has a term of 30 years. With a fixed rate interest-only mortgage, the interest rate is fixed for the entire term, but it is higher due to the interest-only payments being made for several years. The interest rate is higher than a conventional fixed rate mortgage because the interest-only payments are seen as a risk to the lender. Although a fixed rate interest-only mortgage is technically a fixed interest rate mortgage, the monthly payments are not the same throughout the term. Because of the initial period, the homeowner only pays the interest during this time. Once the initial period is complete, the interest rate still remains the same, but the mortgage payments are changed to include the principal. Since the principal hasn’t been touched since day 1, the monthly payments will increase. An Adjustable Rate Interest- Only mortgage offers the perk of a lower interest rate during the initial period than a fixed rate interest-only mortgage. This is because once the initial period is over, the interest rate will no longer be fixed and will adjust to the market. The interest rate can adjust once a year, once every two years, or multiple times a year. When the initial period is over, the monthly payments will also increase due to the principal balance being factored in, but the monthly payments will fluctuate depending on how often your interest rate will adjust and how much it will change. It is important to be transparent with your lender when getting an adjustable rate mortgage so that there are no surprises in store. 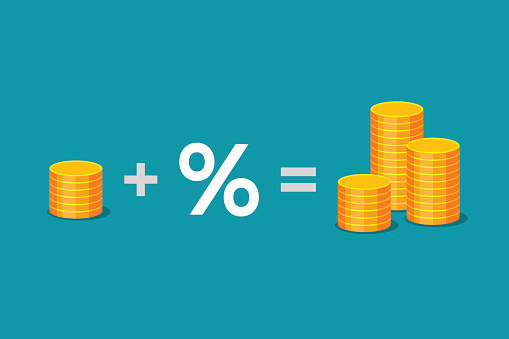 With a fixed interest rate, all of your interest is already accounted for. Once the interest rate has been set, that is the interest rate for the entire term. The mortgage is amortized so after the initial period ends, the payments are on a schedule to be completely paid off at the end of the 30th year. An ARM is different. Because of the adjusting interest rate, you can’t know for certain how much you will be paying in interest. While the principal will remain the same, what you end up paying in interest is unpredictable unless you are a financial expert. By the end of the year, you could have paid significantly more in interest than if you had opted for the fixed interest rate. Because the interest rate during the initial rate with an ARM is lower, those who are expecting to pay off the loan shortly would benefit the most from an interest-only ARM. The initial period is probably the biggest benefit that an interest-only mortgage can offer. The interest-only payments free up more of the cash flow to be put towards savings, bills, and any other important purchases. The initial period can be as short as 1 year or last as long as 10 years. It is important to keep in mind that while making interest-only payments for longer may sound attractive, having a longer initial period will most likely result in a higher interest rate. Unless otherwise noted, the term for a mortgage is usually for 30 years. If you were to have an initial period of 10 years, the new mortgage payment amount would skyrocket. Even with a fixed interest rate, the new amount would be incredibly expensive. This is because there have been no payments put towards reducing the principal. With an initial period of 10 years, you will have 30 years’ worth of principal to pay off in only 20 years in addition to the interest. If you were to choose an initial period lasting for only 3-5 years, the difference in mortgage payment amounts wouldn’t be too significant. While the mortgage payment during the initial period goes towards the interest of the loan, there is always the option of making an extra payment. When an extra payment is made after paying the mortgage payment, that money goes towards the principal balance. If there is disposable income, it would be a good choice to put it towards making extra payments during the initial period so that the new mortgage payment isn’t so much of a shock. An interest-only mortgage would be best for those who currently need low monthly payments, but don’t need to depend on them. Someone who is expecting more money in the future would be a great candidate for an interest-only mortgage. This would include anyone who is working on their career like a lawyer who is working hard to become partner at a law firm or a doctor who is almost done with their residency. The low monthly payments are beneficial, but they will be making more money in the future in order to pay for the new monthly payment amount. Another example is someone who purchased a home at a very good price, but wants to wait to sell the existing home because home values are rising. With the rising home values, they would be able to sell the home for more money and make more from the sale. Because having two mortgages can be expensive, an interest-only mortgage would greatly benefit the homeowner because they are able to afford both payments. After several years, the homeowner would sell the existing home for a higher price and use the money from the sale to pay off the second mortgage. Those who are not expecting to stay in the house for very long are also good candidates for an interest-only mortgage. They could take advantage of the low monthly payments and before the principal is added to the monthly payments, they would have already sold the home and paid back the loan and moved. People who have occupations that require them to move are great examples such as major airline employees, professional athletes, traveling salespeople, etc. Being on the move and moving from apartment to apartment can feel as though they don’t really have a home. The low monthly payments provided by an interest-only mortgage can make their living arrangement feel a little bit more permanent. What if I Already Have an Interest-Only Mortgage? If you later decide that you want to continue staying in the home or you don’t want a new mortgage payment, refinancing into a different loan is an option. You can get a completely new loan that will support your new priorities. Getting a mortgage that is supposed to last a certain number of years doesn’t mean that you have to stay in it until the term is over. Life happens and priorities change all the time. Just because your mortgage doesn’t suit you anymore doesn’t mean you have to stick with it. Interest-only mortgages are great for people who want to take advantage of the low monthly payment, but don’t really need it. It should be seen as an additional perk that provides a huge benefit. Having interest-only payments can be tricky, but when used correctly it can help a lot of people.